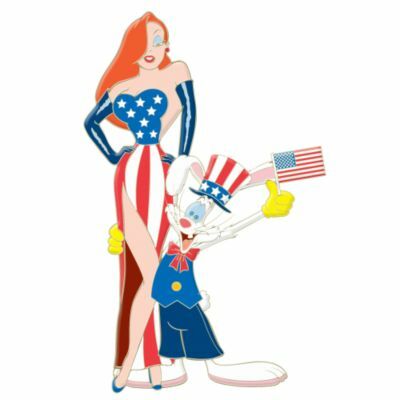 Roger and Jessica celebrate the 4th of July in style. Jessica is wearing a blue top with stars, gloves, and a red and while striped dress. Roger is wearing a blue vest and pants, top hat and is holding an American Flag.